I happened up Faith Bradford’s Doll House, while strolling through the Smithsonian, National Museum of American History, unaware of this treasure. I instantly feel in love, and had to be a bit assertive to get even a few minutes in Ms. Bradford’s world; which she kindly and generously donated to the Smithsonian in 1951, along with her scrapbook where she had taken copious notes about most of the objects in the house, as one might expect from a retired librarian, from the Library of Congress. 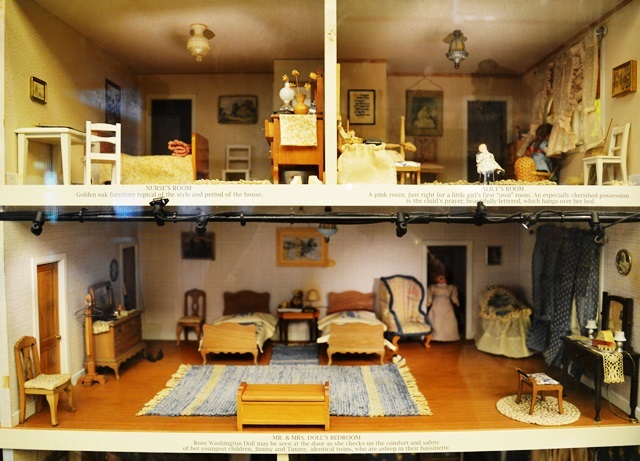 I remember knowing people with doll houses, when I was a little girl, and marveling at the world they created. 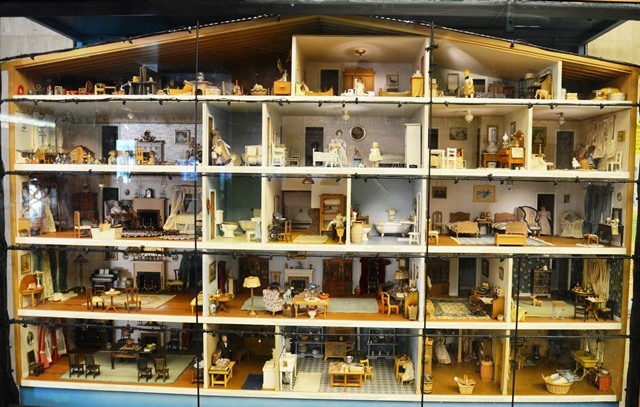 The doll houses of my childhood were more about someone building their daughter a miniature house, that would need to be furnished, than the prefabricated plastic homes of today, that come with furniture and family. I suppose what drew me was the possibilities of creating a perfect world; I believe I have fulfilled that need in creating my own holiday villages, but my admiration for Ms. Bradford’s work is without equal. 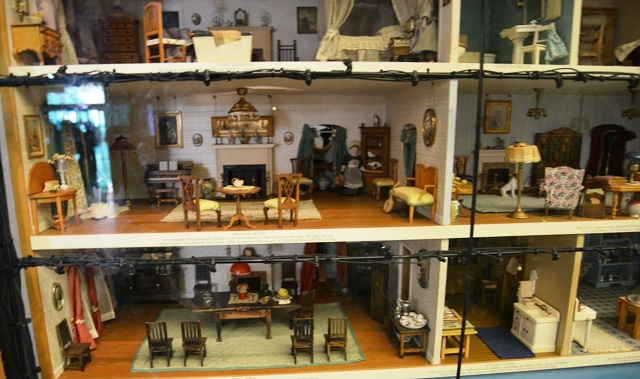 After she donated the Doll House, she became a docent, at the Smithsonian, and would not only see to that the house was kept tidy and decorated for Christmas, but would also give tours to those she saw admiring her work! As we prepare for the season that should bring out the child in all of us, wonder at her work and dream of the beauty you can actually create! 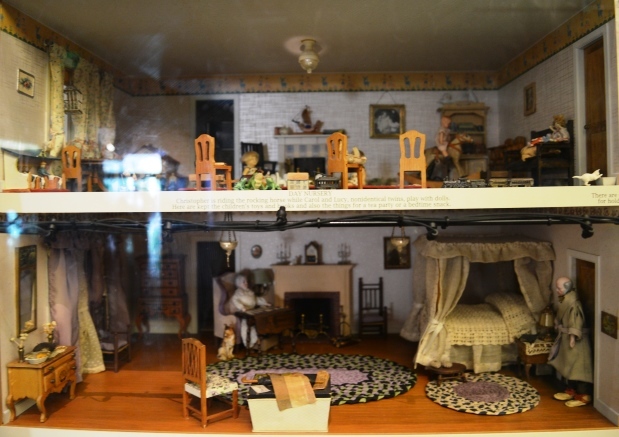 The Doll House is home to the Peter and Rose Washington Doll family, which includes their children Alice, Ann, David, Lucy and Carol who are fraternal twins, Robin, Christopher, Peter, and identical twins Timmy and Jimmy. A guest bedroom for the grandparents; the incredible detail is inspiring. This entry was posted on November 18, 2018 at 12:56 pm and is filed under Public Square, SlideShow. You can follow any responses to this entry through the RSS 2.0 feed.